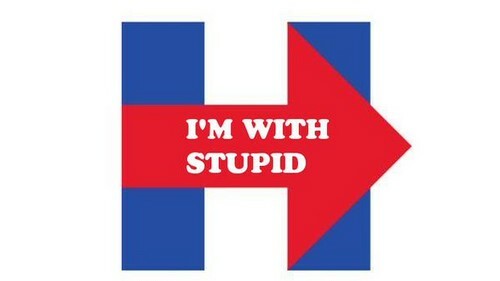 I'm With Stupid. Hillary Clinton's awful "H" logo, edited 由 David Burge.. Wallpaper and background images in the U.S. Republican Party club tagged: photo hillary clinton hillary clinton 2016 presidential election hillary 2016 hillvetica anti-hillary. This U.S. Republican Party photo might contain 维恩图, 维恩的图, venn图, and 维恩图的图.